Every now and then a movie comes along that while not perfect, pleasantly surprises you. The Ritual is that type of movie. 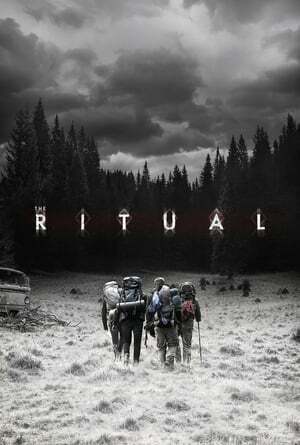 It follows a group of friends on a hiking trip intended to bring closure to a tragic event in their recent past. But when one of them is injured and the men decide to try and take a shortcut to get back to civilization faster, grave things begin to happen. The story of The Ritual doesn't break any new ground at all. But its the execution that works so well. You understand what has brought these men together and how it effects their interactions as a whole. The changing in tone of their conversations from playful banter to much more serious and frantic feels real. And when director David Bruckner starts to lay on the creep, viewers buy in. Its not until the climax when all is revealed that The Ritual starts to suffer a little bit, as is the case in many a horror or thriller piece. But the ride getting there makes it worth the trip.